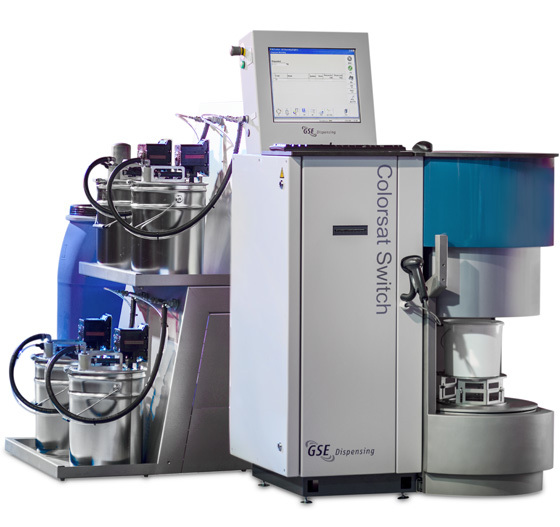 The Colorsat Switch dispenser for label / narrowweb print runs impresses with its high technology in a modular design. 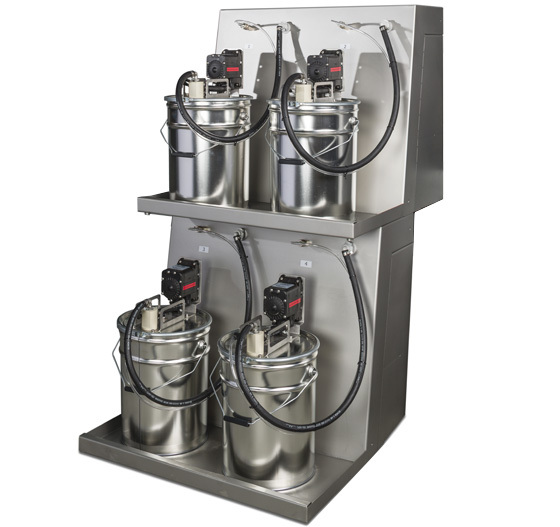 Engineered to dispense waterbased, UV or LED-curing or solvent-based ink batches into 5-litre (~ 1,3 gallon) buckets, the system dispenses a four-colour 5 kg recipe in less than five minutes. 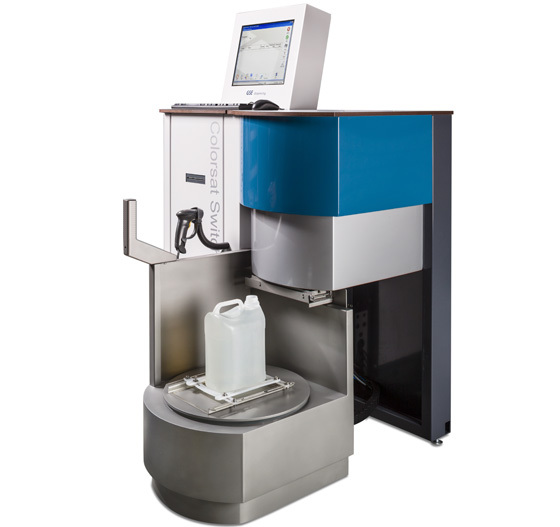 The containers with base inks can be directly connected to the dispenser, making it easy to comply with traceability and GMP requirements. For fast and dip-free exchange of base inks, all hose connections are equipped with quick couplers. The waterfall frames offer an easy way of storing and replacing buckets with base inks, while their modular layout has a space-saving small footprint. Handy features include a combined wet and dry cleaning unit, and a stainless steel dispensing area, for efficient housekeeping. And with a minimum of moving parts and easy access to key components, Switch is very easy to maintain.